Serverless architecture has opened a whole new world of possibilities for developers. We’re seeing so many cool projects being built with the Serverless Framework. The open-source Framework allows you to easily build web, mobile and IoT applications with serverless architectures using AWS Lambda, Azure Functions, OpenWhisk, Google Cloud Functions and more. Startups to Fortune 100 companies are using the Framework to build sophisticated event-driven systems. We’re collaborating with some of these organizations to highlight their exceptional work through the Serverless Partners Program. Serverless Partners are consultants and agencies who are verified experts in serverless application development with the Serverless Framework. We’ll share stories of how they use the Framework to work fast, manage costs and build for scale, in order to produce innovative products and solutions for their clients. Helsinki-based SC5 is a digital agency specializing in cloud solutions. The SC5 team works with enterprise clients to create cloud-native applications, APIs, and data solutions often leveraging Machine Learning. The team recently helped build the backend for the award winning Whim personal transportation app by MaaS Global. MaaS Global (Mobility as a Service) is a startup revolutionizing personal transportation to be more efficient and eco-friendly. 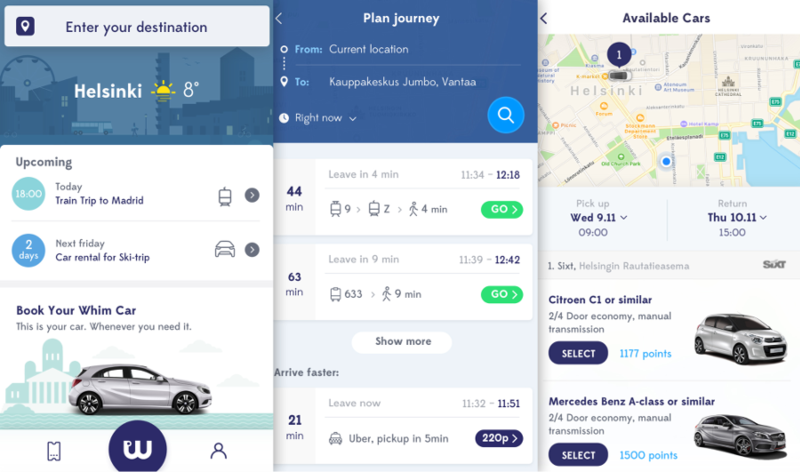 Their app, Whim, allows users to create an itinerary for a journey to a destination of their choice through a combination of public transport (like buses and trains), taxi service or even car rental. From the beginning, MaaS knew it didn't want to create its own maps, geodata or routing systems, instead aiming to tap into the existing systems in the field. They called on SC5 to help solve the technical challenge of making these systems work together reliably while serving potentially millions of concurrent users. The system was founded on AWS, consisting of a REST API using Serverless Framework and Postgres data storage. With the exception of managed database services, the whole solution was based on a serverless architecture pattern with Lambda and API Gateway, allowing it to scale infinitely out-of-the-box. The first end-to-end version, consisting of the full flow of finding a route to getting a taxi ordered, was demoed to investors just four months after the start of the project. Since then the platform has launched in public beta in the Helsinki area, and it's currently expanding internationally to the United Kingdom. The Whim app, powered by the SC5 bootstrapped backend has received several awards, including the Helsinki Smart City Action Award and Nordic Smart Cities Award. Whim has also been featured in the international press, such as the Economist, the Guardian and Wired. Check out the SC5 Case Study for more on the specifics of their process and results. Are you a consultant or agency using the Serverless Framework to streamline your workflow and build innovative solutions for your clients? Contact partners@serverless.com for more info on becoming an official Serverless Partner. Stefanie Monge is a content strategist and event producer at Serverless, Inc. Learn how to create GraphQL endpoints using the Serverless Framework, Lambda, DynamoDB, RDS and a REST backend.